Here's the Testing Department - Test Range is at the back of the room. Above - It's me again (at left). 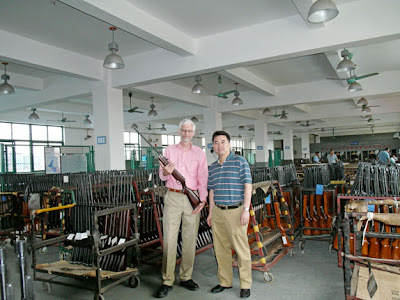 Along with improved product quality, there’s a focus on marketing, with “Industry Brand” being retained for existing products - such as the QB78 family - but with newer, more up-scale models being given a new “SAG” (Shanghai Airgun Factory) brand. And as everyone knows, much can be known about people’s real interests from the desktop and/or screen saver that they have on their computer. Well, the VP of Product Development has a very interesting screen saver. It’s a photograph of a heavily tricked-out M16 with every known accessory loaded on it. This gentlemen is obviously really interested in guns and that has to be good for us as they introduce new airguns in future! 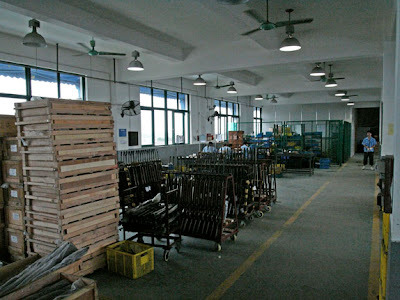 The current factory is one third larger than the previous one, which was located much closer to the city center - in Pudong. 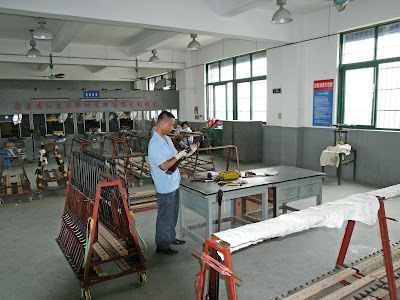 The factory move took place in 2007 as the area in which it was located is being re-developed as the home for the Shanghai “Expo 2010”, a HUGE international exhibition that is expected to generate 70 million visitors flocking to Shanghai. You can read more about Expo 2010 at http://en.expo2010.cn. 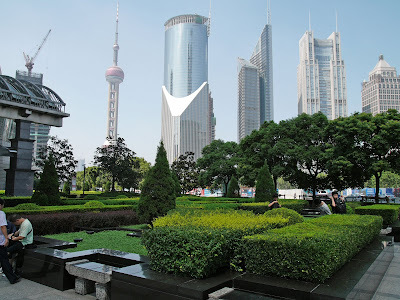 Below: modern Pudong, in Downtown Shanghai. The Head Office is near here.